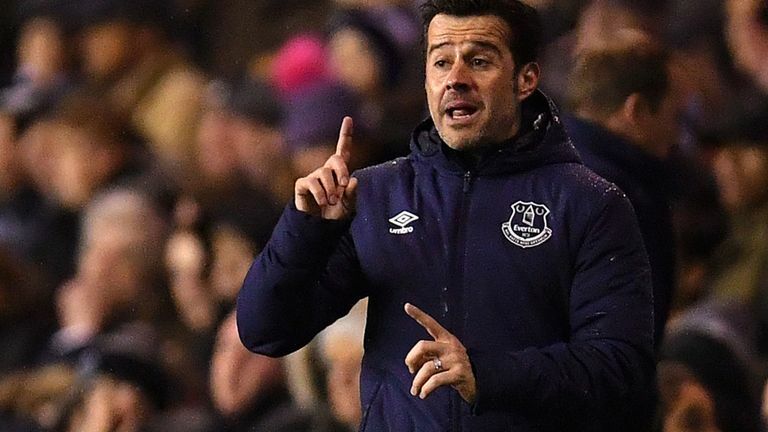 Martin Perry 28th January 2019 28th January 2019 Comments Off on Football Psychology: Marco Silva – Set Pieces! It’s an afternoon of high drama at the New Den, as Millwall put Everton out of the FA Cup. Three set-piece goals expose the Merseysider’s achilles heel, and pile the pressure on Marco Silva. It’s still January and Everton have conceded fourteen set -piece goals this season. Making the heart of the penalty-box a critical target for opposition strategists. One of the things that generally sets apart the best managers from the rest, is the ability to solve problems quickly. Good problem solving involves honesty, smart analysis; an attention to detail; the ability to sometimes swallow your pride and admit your wrong; openness to others opinions; being happy to work on your weaknesses. Limitations in any of the above areas, can quickly lead to the inability to solve problems. When you are seeing the same things happening again and again, players quickly start to lose trust in you. They can see what the problem is. And probably know what to do about it. Why cant you? Sometimes you might have a blindspot. That’s when you need the staff around you to tell you the truth. If they don’t then an air of delusion can set in. Which causes the players to feel certain, that the same things are going to happen. Which they do! Marco Silva’s Everton currently look a soft touch. Disorganised. Confused. Vulnerable. Out thought in their own penalty box. As a leader if there is a problem that you can’t solve, then you hire someone who knows how to. That’s not a weakness. It’s smart. Especially given that failure to act and failure to change, will lead to one thing. The sack.